KINSHASA - The UN's envoy for DR Congo on Monday called on the Congolese authorities to release opposition members arrested in the southeastern city of Lubumbashi Sunday for allegedly insulting President Joseph Kabila. In a separate incident Monday, riot police using teargas dispersed supporters who had gathered at the city's airport to welcome opposition leader Felix Tshisekedi, an AFP journalist saw. Maman Sidikou, the UN's special representative and mission head for Democratic Republic of Congo, called on DR Congo's authorities "to immediately and unconditionally release those arbitrarily arrested yesterday." In a statement, Sidikou also reminded the authorities of their duty to guarantee citizens' rights "in accordance with the constitution and international commitments" of DR Congo. Police said that on Sunday they arrested 28 supporters of the main opposition Union for Democracy and Social Progress (UDPS). Party sources said 48 were detained. In the statement, the UN mission MONUSCO condemned the arrests and said it was "deeply concerned by ongoing acts of intimidation" against opposition members. "A total of 28 (party activists) were detained and jailed. They will be judged under the law," regional police commander Paulin Kyungu told AFP on Sunday, saying the group had insulted Kabila. Tensions are high in DR Congo after Kabila failed to step down after his second and final term expired last December. Elections were supposed to have taken place this year under a transitional deal aimed at avoiding fresh political bloodshed in a country beset by ethnic divisions and bloody fighting in its east. But the country's electoral commission earlier this month announced there will be no vote before early 2019 in the vast country, sparking fresh security worries. The international community has strongly urged a clear poll timetable be released. The United Nations says the current situation has created "tensions and a climate of uncertainty". UDPS chief Tshisekedi, who was scheduled to arrive in Lubumbashi on Monday, earlier this month accused Kabila and the electoral commission of having "declared war on the Congolese people" by delaying the poll. Several dozen supporters waiting for Tshisekedi at the airport on Monday were dispersed by riot police using teargas and clubs, an AFP journalist said. "Orders were given by Lubumbashi city hall to disperse any gathering of more than five people," Kyungu told AFP. The UN's envoy for DR Congo on Monday called on the Congolese authorities to release opposition members arrested in the southeastern city of Lubumbashi Sunday for allegedly insulting President Joseph Kabila. 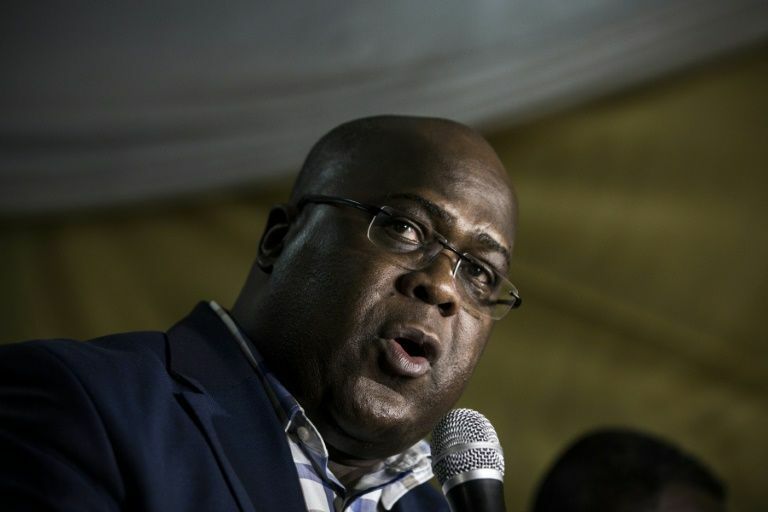 In a separate incident Monday, riot police using teargas dispersed supporters who had gathered at the city's airport to welcome opposition leader Felix Tshisekedi, an AFP journalist saw.